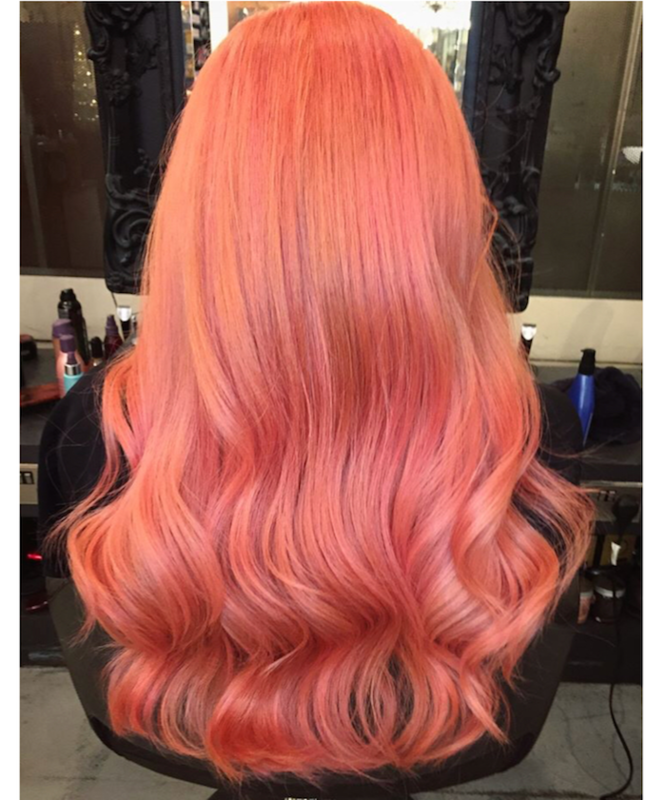 Embrace the sunshine with peach hair this summer! 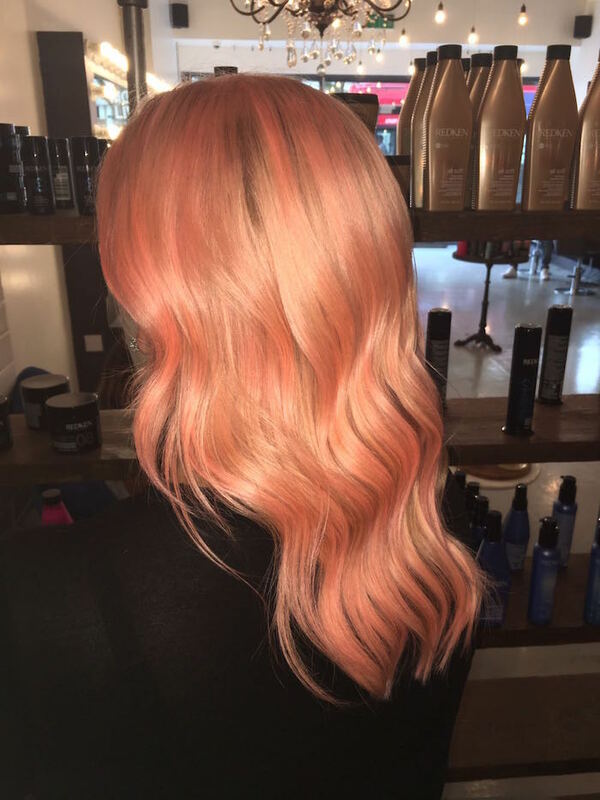 Born out of the popular rose hair trend, peach hair is a must try this season. 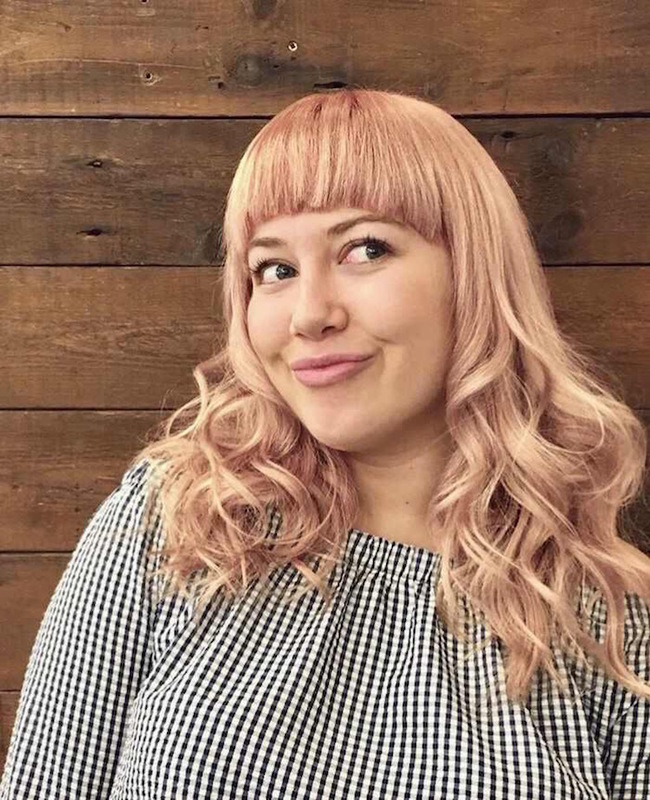 Mattia, Consultant Senior Stylist at Live True Clapham North says “Peach tones are very trendy at the moment and have so many positive aspects. 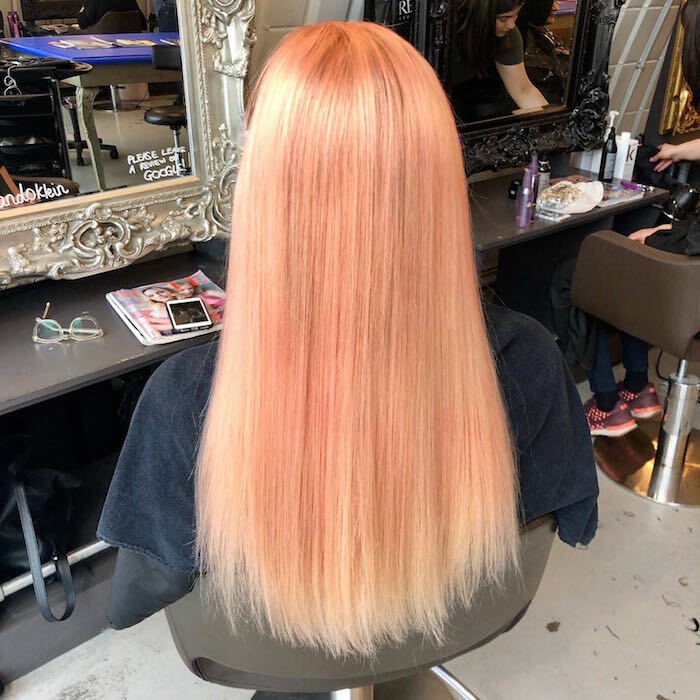 The great thing with peach is that we do not need to lift the colour as much and can use a client’s warm undertones as a base for a nice peachy blonde. When the peach tone starts fading the colour will keep a nice warm undertone that is easy to wear”. With so many shades of peach to choose from, this colour can work with all skin tones. Try peach as an all-over colour or accent your existing hair colour with a hunt of peach through an ombre or balayage. 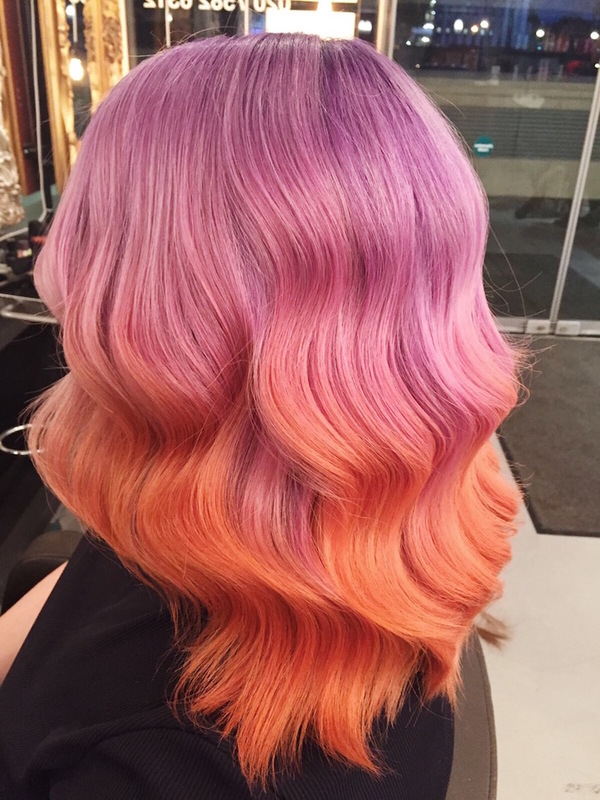 Combine peach with your next vivid colour to make your hair pop! Try a delicate light peach pastel colour that is easy to wear. 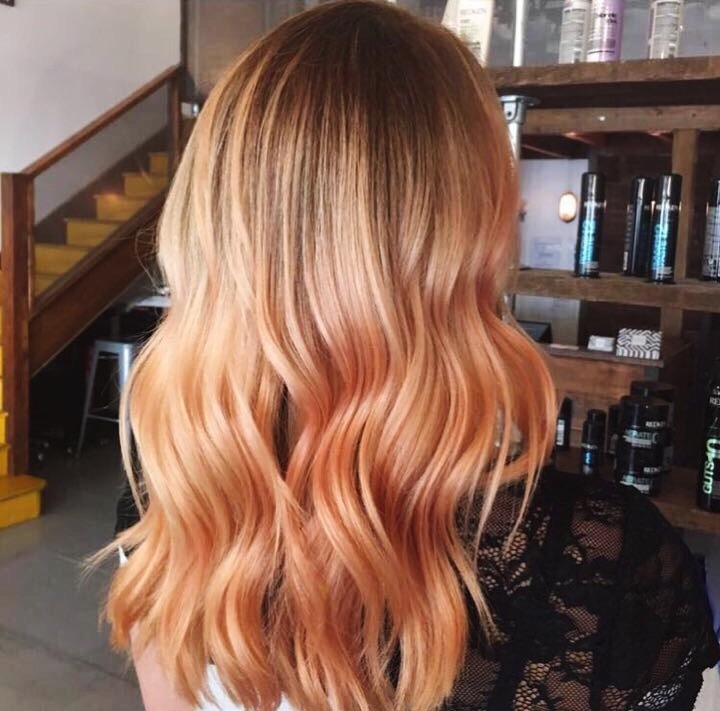 If you want to experiment with peach but don’t want to commit fully, try incorporating peach into your next balayage for a more natural on trend sunkissed look. 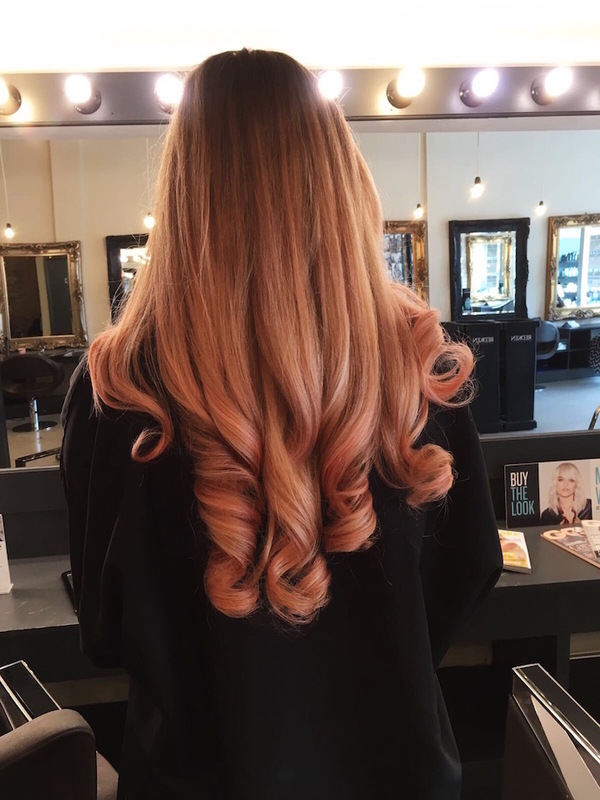 For a more dramatic look, try a beautiful solid deep peach colour. Try emphasising your peach with another colour such as purple for more dimension. 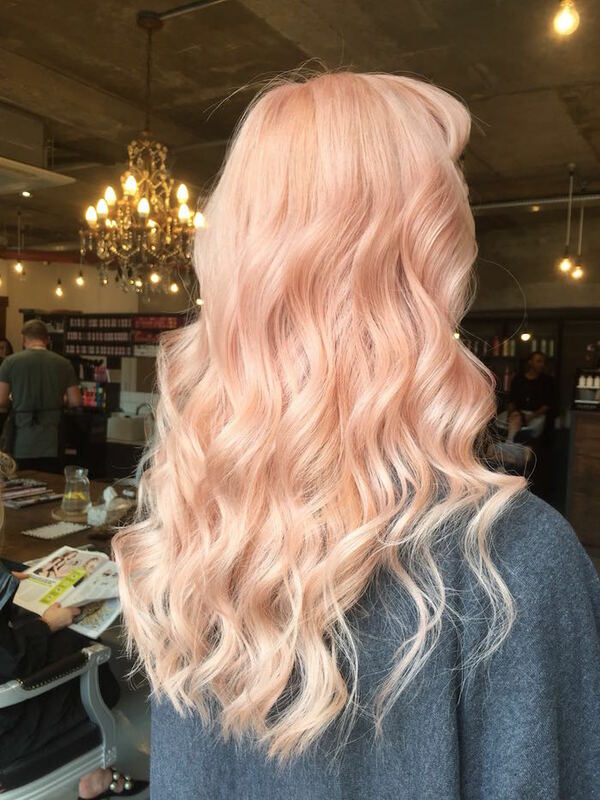 If you’re looking to add some peach to your hair, we recommend that you include an in-colour Olaplex treatment to your service. This will help protect your hair from damage during the colouring processing leaving it looking and feeling healthy. 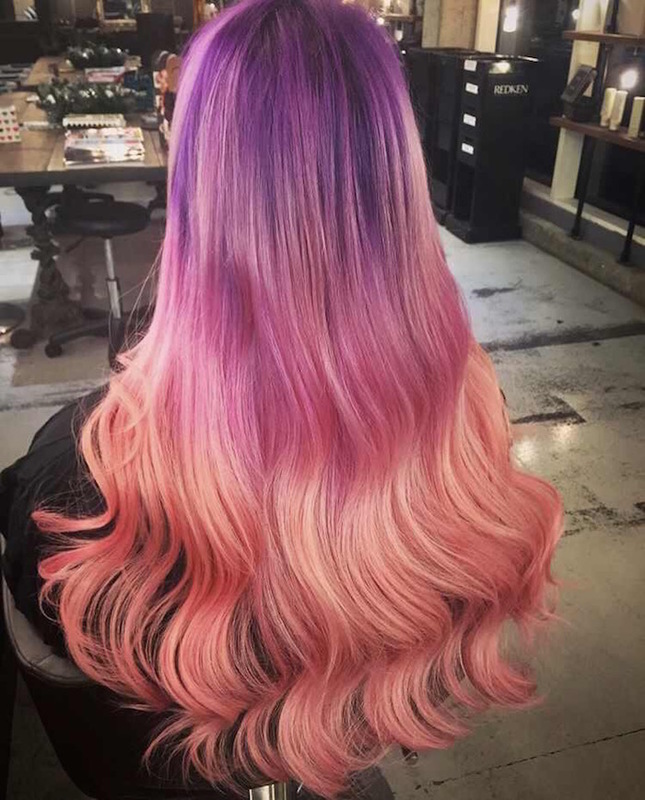 Olaplex will also help to seal in your hair colour making it last longer. For maintaining your colour at home, we recommend that you use a colour safe shampoo and conditioner such as Redken’s All Soft range and use an at home hair mask weekly. As with all vivid colours, your peach colour will require regular top ups to keep it looking its best. 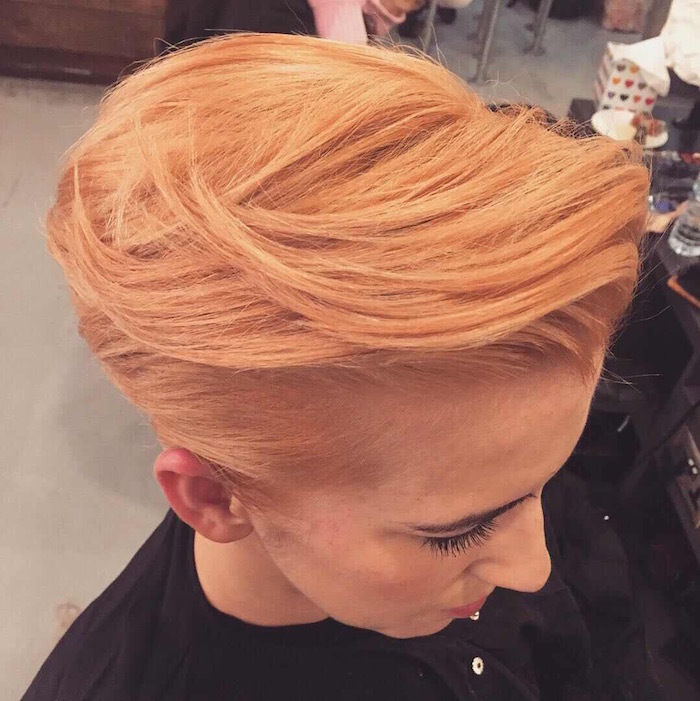 Book your peach hair appointment today at one of our three London salons.